03/11/2001 - We send a follow-up email to Yang Berbahagia Datuk Ir. Md. Sidek Ahmad, Managing Director of Tenaga Nasional Berhad Distribution Sdn Bhd. Read our email here. 27/09/2001 - Our Chairman, Yee Foon Kong, hands our request personally to the Office of Yang Berbahagia Dato' Sedik Ahmad of Tenaga Nasional Berhad Distribution in Jalan Timur, Petaling Jaya, including a list containing a total of 168 signatures of Residents of USJ23 and their family. - Read what we wrote. We should like to thank Beh Yong Hock, Mohd. Fauzi Omor and all Committee Members/Row Leaders for collecting the signatures. Most of all to the Residents who put their names to paper. Now we await the generosity of TNB. 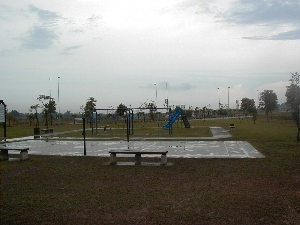 08/09/2001 - A petition, requesting TNB for lighting to be installed at the playground 'free of charge' is with the various row leaders in USJ23, when they come around, put your name to paper and hopefully we will have our Children Playground lighted up for everyone to enjoy. Will the Children Playground every be upgraded? 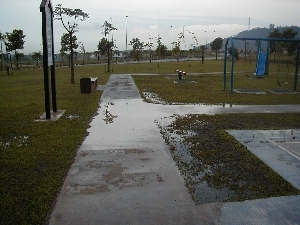 07/07/2001 - USJ 23 residents - Take part in the Children's Playground Survey and be counted. 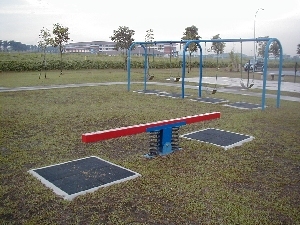 18/06/2001 - We have been informed that MPSJ is spending close to RM1m to upgrade Subang Jaya/USJ/Bandar Sunway playgrounds this year. A list had already been identified and planned by MPSJ Landscape Department back in January 2001 - Our playground was not on the list. However, since our ADUN had promised us the upgrade the Landscape Department is working to allocate some budget for our playground. 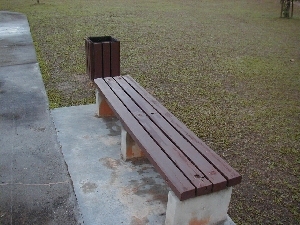 The amount to be made available and when the playground will be upgraded is still unknown at present. Read what some of our Residents think about this. 21//04/2001 - We have contacted our ADUN Subang Jaya YB Dato' Lee Hwa Beng about the upgrade and he has asked Mr Yap Yun Fatt, an MPSJ councillor to check with the MPSJ Landscape Department on the nature of the RM 50,000.00 work. We will keep you informed of the progress. Read the exchange of emails here. Barren and un-interesting with not even a shade from the elements in sight. 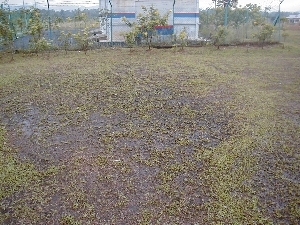 Grass area constantly waterlogged, even when it does not rain. 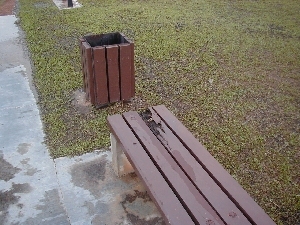 Damaged rides including benches that are rotting beyond repair.